TRACC Borneo Volunteers: Sunday Funday!! 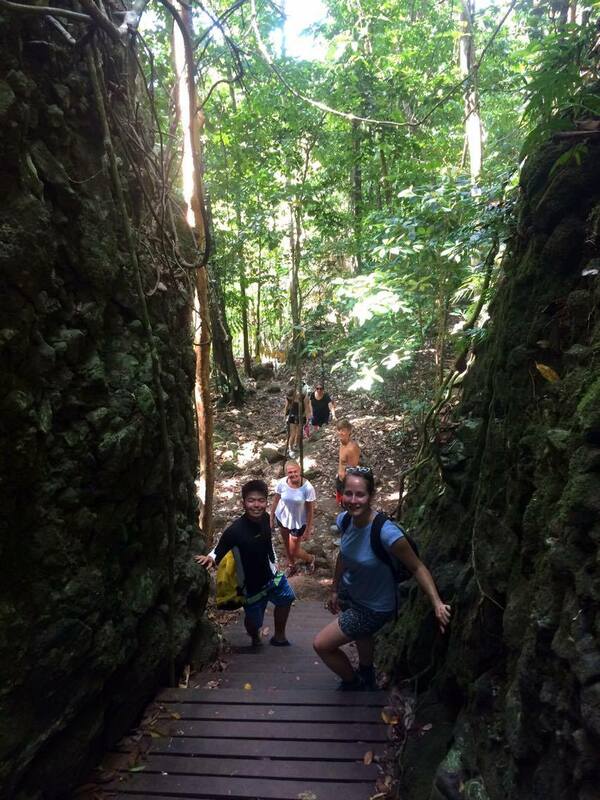 Once a week at TRACC we have a day dedicated to getting out and exploring other islands and reefs close to Pom Pom. Our funday usually falls on a Saturday or Sunday, after we have spent the week creating and maintaining reefs, and doing PADI coursework. 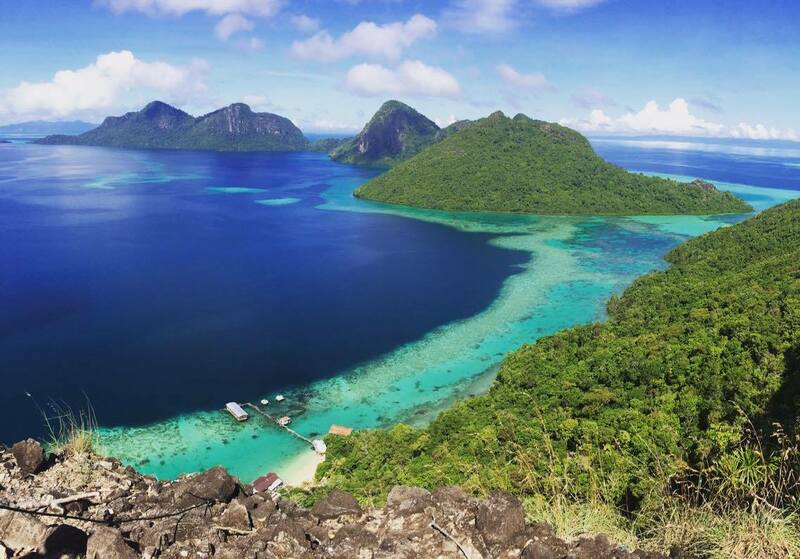 In the four weeks I have been here I have to say my favourite was our Sunday funday trip to Bohey Dulang. Bohey Dulang is an island that is part of the Tun Sakaran Marine Park and is a 20 minute boat trip from Pom Pom Island. It is well known for its beautiful panoramic views over the island and ocean. We organised permits and headed off on our trip early on Sunday morning. We wanted to be the first ones to hike up the hill so we made sure we arrived just as the park opened at 9am. We arrived on time and immediately started our 600m ascent. Bohey Dulang is home to monkeys, lots of bird life, and cicadas. Unfortunately we were only able to hear the animals- they liked to keep hidden away from the track! It was a steep climb- made even harder by the heat, but after about 30 minutes we had made it to the top. And boy was it worth the hike. The photos only partly capture how stunning the view was. Plus we had made it up first, so got to experience the view uninterrupted by throngs of tourists. What. A. hike. We walked our way down, and were followed by some adorable stray puppies in the last leg. Drenched in sweat, I immediately jumped off the jetty into the water. We then took the boat to the nearby island of Mantabaun, where we set ourselves up with some music and lunch (cooked by Neng that morning- Thank you!!). 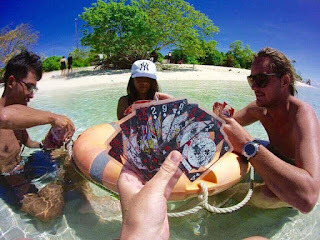 We chilled out for a couple of hours on the beach, some of us walked around the island, and some of us played cards in the shallows. After we felt we had been cooked enough by the sun, we headed around the corner by boat to go diving. It was a nice dive, with very little evidence of bomb fishing. The highlight would have to be Diniy bringing the pack of cards with him, and managing to get a game of hearts in during our safety stop at the end. It was an all round epic day - One that will stick with me for a very long time to come!